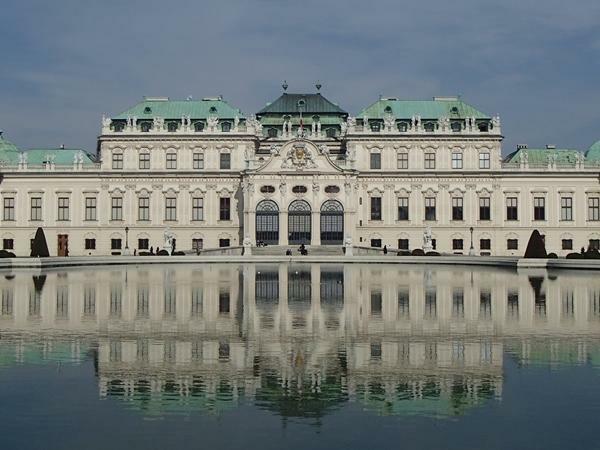 Traveler Reviews for Private Tour in Vienna, Austria by Tour Guide Marieta T.
Marietta T was an outstanding guide for our group of 4 with very eclectic interests — arts, literature, finance and history!! She gave us tours for two mornings, and we enjoyed both immensely even though they were very different. Marietta was extremely well informed, well-spoken and plus has a sense of humor. Five stars from all 4 in our group. This was a splendid tour by a knowledgeable and friendly host. We would have a booked a whole day with Marieta Teich if we had known just how wonderful she would be! She tailored the tour to our interest in the arts, history, and architecture. She had a keen intuition when we wanted to linger or move on. She offered suggestions on what to do on the rest of our trip...which we did!!!!! It was the perfect combination of public transportation and working which is what we told her would work best for us. We had a wonderful 4hours with Marietta getting oriented to the city. In addition to a history lesson, She helped us with Vienna's terrific transportation system and introduced us to neighborhoods we might find interesting. She had plenty of helpful tips about the sites which helped us focus our limited time to see the things we felt most important. Three days isn't enough to see all the museums so we will have to be back. Marieta proved an excellent guide for our 3 hour walking tour, which provided an excellent introduction to some of the main highlights in central Vienna. She is extremely knowledgeable about all aspects of the city and it's history, and this made for a very interesting morning. Her English is fluent, and the fact that she is also widely travelled added to the quality of her service. Thoroughly recommended! We just finished our tour with Marieta and we're very happy with the experience! We worried beforehand how we were going to fit so much in, but we did and it did not feel rushed! She is very knowledgeable and patient. She really wanted to get to know our interests and provided us a very interactive tour that was reflective of those interests. Would highly recommend her! Marietta gave us a great overview of Vienna. She also helped us plan activities for the remainder of our stay in the city. We recommend her whole heartedly. Marieta's knowledge of Vienna was extensive and our tour was pleasant and informative. Marieta was flexible with our start times, she gave us a brief history lesson at the beginning and did a great job relating things back throughout history. She is very knowledgeable and easy to be with as a person which made our tours more enjoyable. She recommended wonderful restaurants as well. I would definitely book with her again. Delightful conversation. Flexibility with adjusting route and program to group interests. Friendly and knowledgeable about her beloved Vienna. We had booked a walking tour but heavy rain started immediately we met. Marieta rang one of her drivers for help and within ten minutes we were off. Brilliant solution and lovely Mercedes MPV. Very knowledgeable, friendly and adaptable guide. My husband is a big fan of The Third Man and Marieta made the film come alive by pointing out locations used throughout the city. This lady also knows the best cake shops if you start flagging! I would unreservedly recommend Marieta as your guide in Vienna. Marieta was a great guide, very knowledgeable and nice. This tour is a great way to start your visit to Vienna. Highly recommended. Marieta was a fabulous guide; so knowledgeable, personable and thorough. Perfect English speaker. The best way to spend half a day in Vienna! I went around Vienna with marietta, and really enjoy the tour with lots of information and anecdotes. I really reccomend her services. Marieta, was a great guide. Very knowledgeable and very nice. She did a great job of showing us her city. I would definitely recommend her. Marieta showed us a beautiful quaint section of Vienna. We enjoyed wine in the cafes while listening to her knowledgable description of the local wines. This was our second tour with Marieta during our stay. We really enjoyed her tours. We had two tours with Marieta. Both enjoyable. This tour was helpful to get our bearings on the city. We walked the downtown area. Her knowledge and descriptions of the sites was very informative. Everyone in our group would highly recommend Marieta. Marieta was very friendly and definitely knows her Viennese history. The length of the tour was perfect for the size of the city as well. She provided us with some good restaurant and site recommendations. Marieta was great! Very knowledgeable and fun. She combined public transit with a walking tour that made our first visit to Vienna a real treat. I highly recommend Marieta as you guide in Vienna. We had a wonderful tour of Vienna with Marieta. She had a great itinerary which will allow us to plan the rest of our time in Vienna, returning to the most interesting sites. We would highly recommend her tour. Marieta is a very professional, organized and well informed tour-guide, that we believe she had earned every penny of it. She started the day with us, on-time, gave a good overview before we left the hotel, showed us the ropes of getting around Vienna, helped us buy Music Opera tickets, showed us all important sights and helped us plan for the next four days. Without her help, we don't think we would have enjoyed Vienna as much as we did. My highest recommendation goes for her. Marieta's walking tour was informative and gave us an excellent overview of the city, as well as a good introduction to using the public transportation system. She was very good about answering our questions and offered options. Marietta provided us a well structured and interesting tour that was well tailored to our needs. She is very knowledgeable about the history of Vienna and Austria. We finished the tour with such a better understanding of this beautiful and historic city. You can't go wrong with Marieta as your guide! Our guide was so informative and patient with our family of five in very hot weather. She gave us a brief history of the city before we set out so we could understand what we were going to see. She explained things in detail so my three children could understand and took us to the main sights we wanted to see. We have travelled a fair amount and had tour guides, she was really excellent. She was so accommodating when we were a little late as well. My husband and I enjoyed our half day with Marieta. She was extremely knowledgeable and interesting. She made history "come alive". I would highly recommend her. MARIETA was a very good guide and extremely knowledgeable of Vienna. As a personal guide she took special care to make you feel comfortable walking through the city and sites visited .. Recommend her highly if you are looking for a great tour of Vienna! Marieta spoke great English and was full of information about beautiful Vienna. Marieta provided a detailed history of Vienna and took us on an incredible tour that allowed us to see the highlights of the city! Definitely a 5 out of 5. Knows the city like the back of her hand, extremely high level of historical and architectural knowledge, perfect English, and great personality and energy. Our group of eight people very much enjoyed our personalized walking tour with Marieta. She is extremely knowledgeable of Vienna's history and all the sites we visited. Very good communication skills and a professional yet friendly attitude. Highly recommend the tour and Marietta as the tour guide. Marieta's walking tour of Vienna was informative and a fun experience in spite of the rain and hail. She customized our tour based on our special requests. We greatly appreciated the time and research she took to prepare for us! This was our 2nd day tour with Marieta. Her English was perfect. Her professional presentation enhanced the beauty of the city, as she made the history of Vienna dance in front of our eyes. Marieta explained everything that we were looking at in such a way, that we wanted more, and she delivered it. She truly cared and helped us with other activities. We appreciated her kindness and expertise and highly recommend her as a guide.